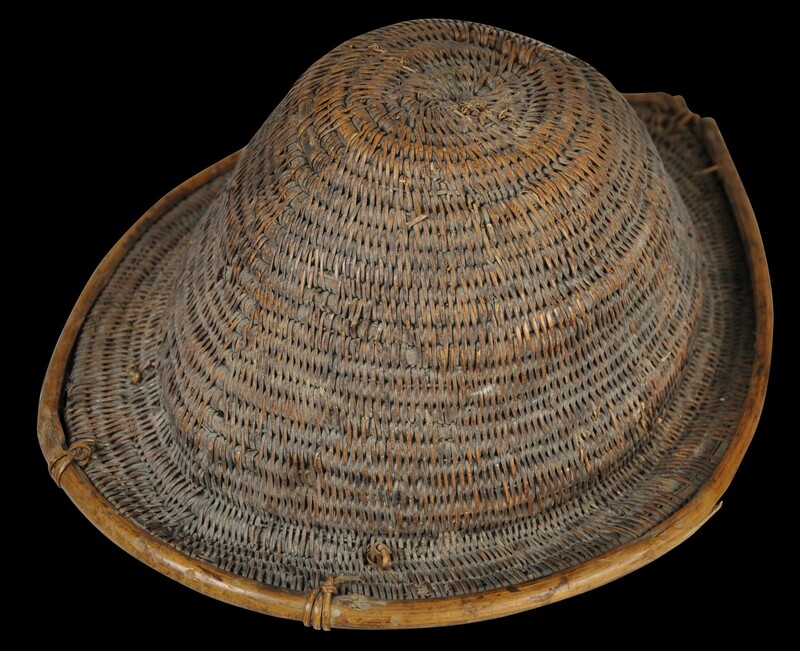 The Naga people of North-eastern India (and to a lesser extend, Western Burma) produced woven rattan and bamboo hats like this example either for themselves or for bartering with other groups in the region. 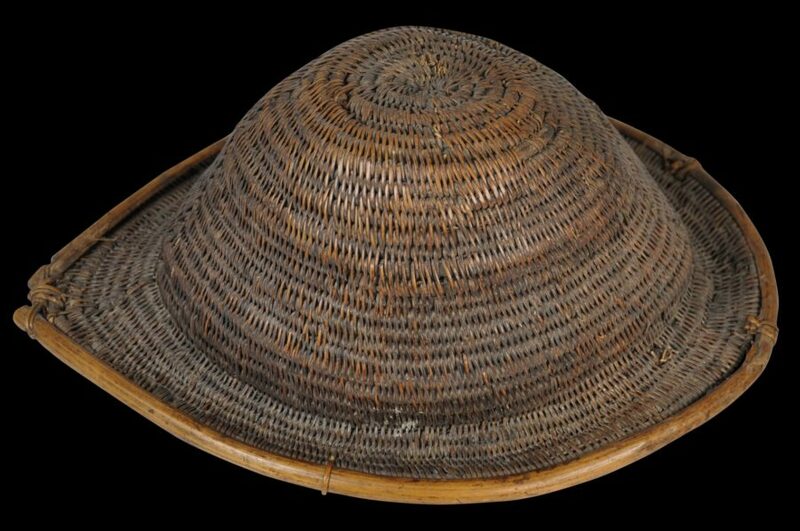 This example, which is believed to have been collected in the region in the early 20th century, is almost certainly based on European hat. It is domed and has a brim which comes to a slight point at the front. A near-identical Naga hat is illustrated in van Cutsem (2005, p. 106). 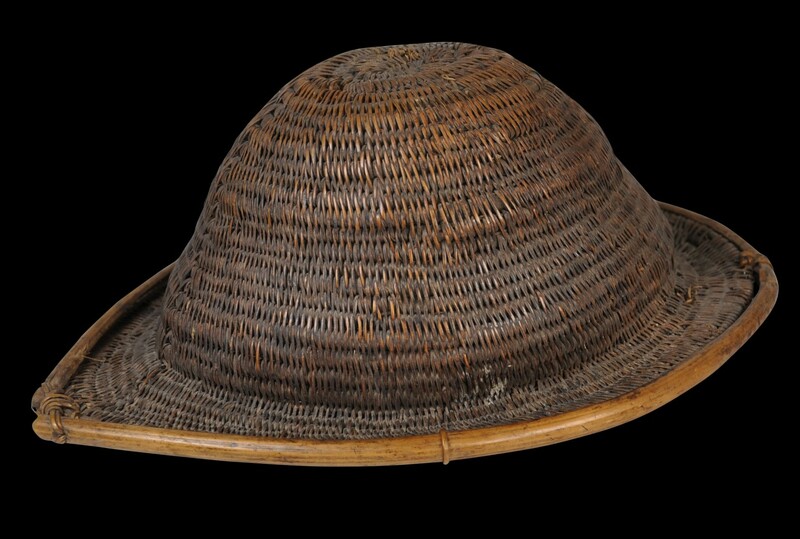 The example here has fine patina. 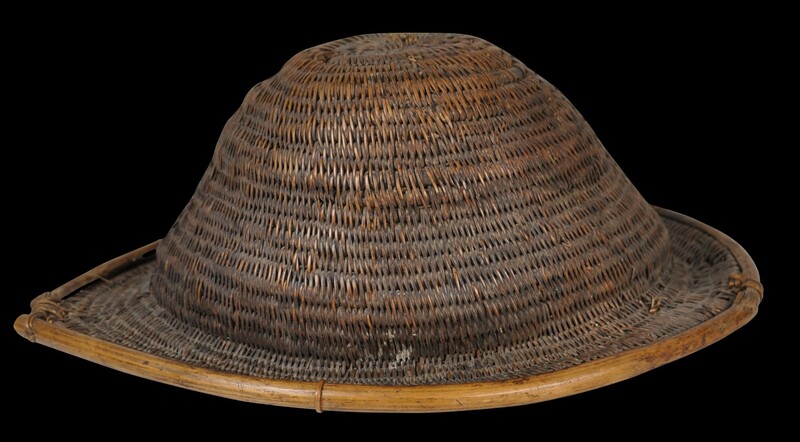 It is in fine condition other than some minor separation of the outer rim from the woven case of the brim.